Another Super Puma helicopter has crashed into the sea off the Scottish coast, again ferrying oil workers from the North Sea oil rigs to dry land. The helicopter came dowm 2 miles short of the airfield at Sumburgh on Shetland while it was carrying 16 passengers and 2 crew. According to the BBC three are still missing, 9 were transported to hospital in Lerwick by rescue helicopter one was stretchered off the rest were described as walking wounded with various injuries. The helicopter is operated by CHC and is the third crash suffered by the type in recent times. The coastguard described the weather conditions at the time of the crash as: “There was a fresh wind, not overly strong, visibility is not particularly good and it was misty in the area but I doubt if that would have had any impact on causing whatever happened to the helicopter,” the spokesperson said to the BBC. “I believe that the helicopter is in a fairly inaccessible position at the moment near the cliffs. There’s quite a lot of tide in that area so any person in the water could be carried some distance away. In a statement to the BBC news website a CHC spokesman said: “We can confirm that an L2 aircraft has landed in the water, approximately two miles west of Sumburgh. “The aircraft was on approach to Sumburgh Airport at approximately 6.20pm when contact was lost with air traffic control. 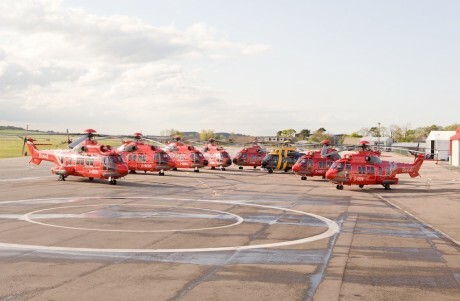 In May 2012 a Eurocopter EC225 Super Puma experienced an emergency whilst ferrying oil workers from Aberdeen (Scotland) to the Maersk Resilliant and Ensco 107 drilling rigs in the North Sea carrying 14 people. A similar incident occurred on Oct. 22, 2012 when a second Puma carrying 17 people also made a emergency landing again on water due to similar reasons. In both cases, all the people on board survived the ditchings. Following the second episode, Eurocopter’s EC225 Super Puma fleet for offshore operations was grounded. Until Aug. 7, 2013.